Mirror, mirror on the wall – what’s the best place of them all? 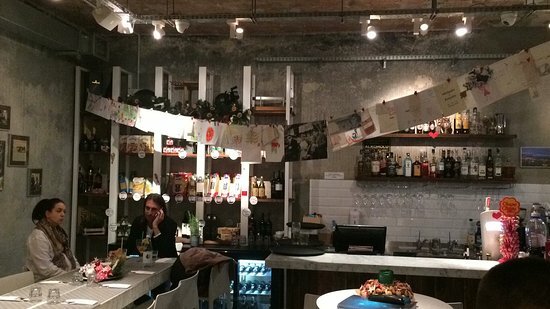 Where to eat in Warsaw? Poland’s capital city might not be the largest European metropolis, but it’s vibrant and abundant in restaurants and cafés, and quite a lot are accessible. 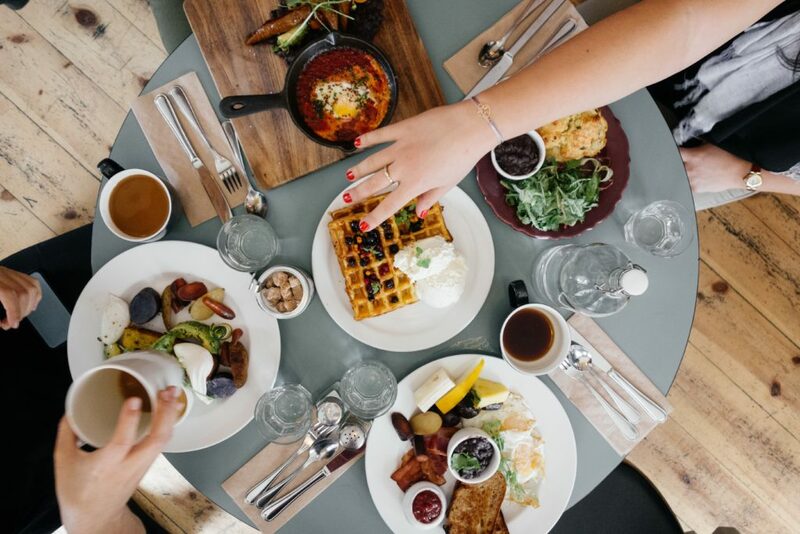 Anywhere you go, there’s a food heaven waiting for you. Since I’ve been living in Warsaw for years, I’ve eaten in many places. Cooking is definitely one of the things I truly enjoy, but from time to time it’s good to change something. As they say: variety’s a spice of life. There are lots of wonderful dining places in Warsaw, but the degree of their accessibility varies. Since I have Blumil, my all-terrain wheelchair, accessing less accessible places is not a problem, but I decided not to mention them here. Accessibility’s never out of style. Below you can read about my top 8 places to visit if you want to eat out in Warsaw! La Cantina’s a small restaurant, which serves Mediterranean food, to specify: mostly Italian-inspired dishes. 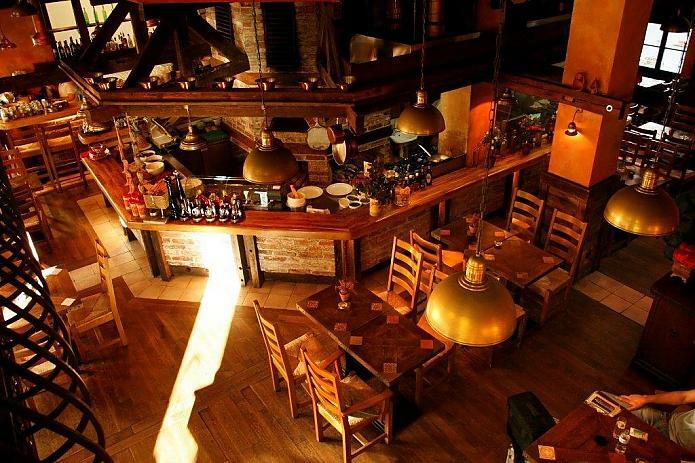 The staff’s very friendly, the cuisine is tasty, the menu’s diverse and the interior’s very cozy. You can easily order gluten free dishes there if you wish to. Not the best place on this list, but definitely worth mentioning! DoWoli Bistro is definitely one of my favourite places. It’s suitable for both breakfast and dinner, but personally, I love it mostly for the amazing breakfast sets. Their omelet is truly legendary. The food they serve is European/Polish. It gets A+ from me! Sawa Bistro serves Polish and European food. One day you might get something typically Polish if you order the dish of the day, but next day their cuisine will take you straight to sunny Italy or France. I like to visit when I go out with a bigger group of friends. There’s enough space for everybody. The staff’s very friendly, too. What more could I ask for? 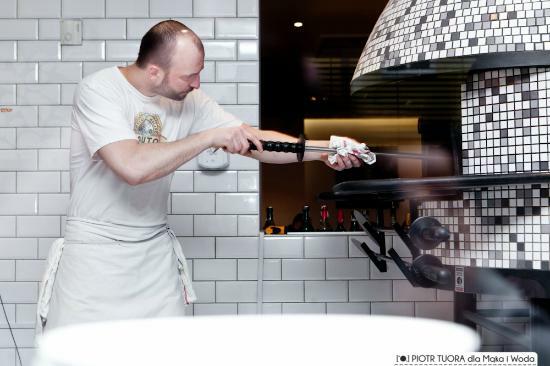 Typical Italian cuisine served in a modern manner – this is how I would describe “Mąka i woda”. Every dish on their menu rings a bell to Italian cuisine lovers (like me! ), but there’s a surprising twist to each and every serving. I really enjoy such an attitude to cooking – their culinary experiments are definitely incredibly tasty! In conclusion: a must-visit restaurant! 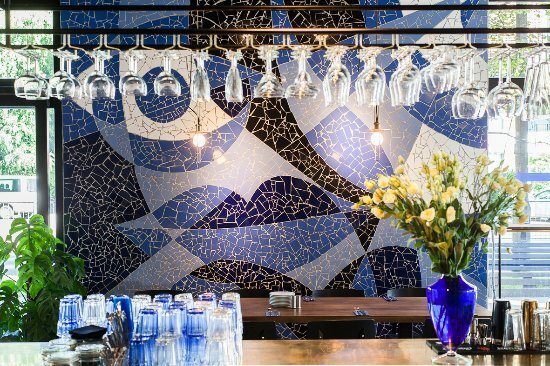 Cava is a mix of a café and a restaurant. You can eat your breakfast or dinner there, but it mostly specializes in coffee and sweet treats. Their slogan says “Cava – cup of pleasure”. I absolutely love their meringue cake – it tastes heavenly! It used to be my favourite place, but sadly something’s changed – the staff – and I don’t feel comfortable there anymore. Yet, I decided to put on the list, simply because the meringue cake they serve is really out of this world! Spacca Napoli is a wonderful Italian restaurant and it takes its name from a very special place! SpaccaNapoli is a historic part of a famous southern Italian city – Naples. That’s where the first pizza Margherita was made! What’s Margherita made of? Basil, mozzarella and tomato sauce. If you think about it, it looks just like Italian flag – green, white and red! Anyway, the restaurant’s fantastic, so I would definitely recommend you to give it a try! 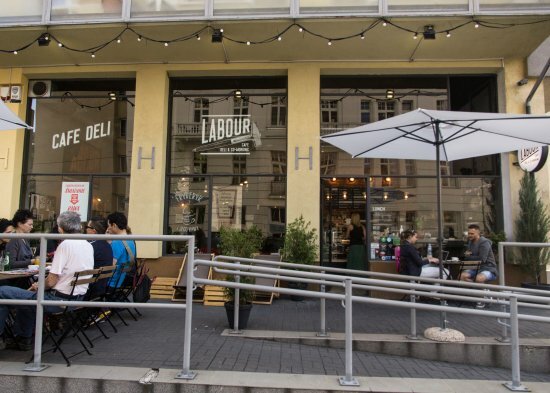 Labour Café is a perfect place to go for a coffee – anytime. Their drinks are of great quality, and while cafe’s already a good reason to visit them, their secret treasures are pralines. They have many kinds of them and all of them are absolutely delicious. A must -visit if you love pralines! When I stumbled upon Miss Kimchi, I discovered I really like Korean cuisine. 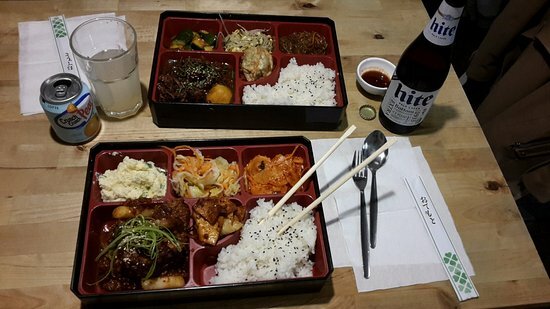 The food in Miss Kimchi is tasty, the atmosphere’s great and most of all… it’s absolutely wallet friendly! Probably the cheapest place on this list, and still incredibly delicious! One note: it’s not very suitable for hours-long conversation. It’s just too small and nothing like a café. Nevertheless, definitely worth visiting! Finally – “U Szwejka”! 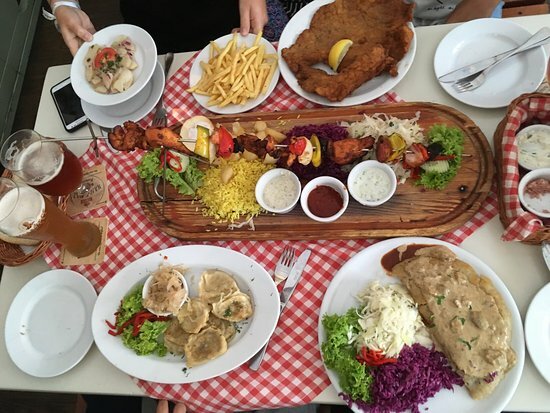 While most of the positions on this list are Italian cuisine, this one is strongly influenced by Polish and Austrian cuisine. Hence, what I love the most about this place are their schnitzels. It’s their specialty and it’s incredibly good. The portion’s big so nobody should leave “U Szwejka” hungry. It gets a big “yes!” fro me for schnitzels alone! A little exclaimer: not all of the places listed above have accessible toilets, but most of them do and the degree of their accessibility’s similar. Generally, the situation’s satisfactory, and as much as everything could be a little better, enjoying the evening out’s not mission impossible. All of them would probably pass the accessibility test: some with A+, some with B-. Not too bad! 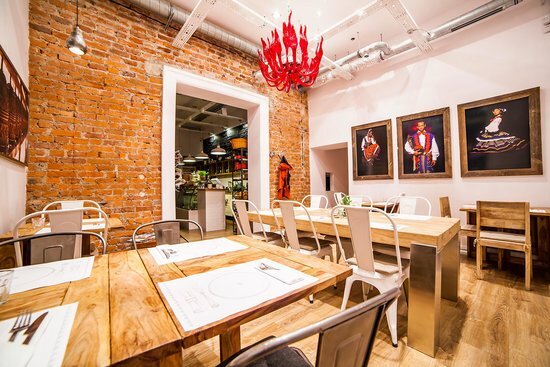 Warsaw is a dynamic place and its culinary scene is constantly changing. There are many places I am yet to discover, flavors I am yet to try, and I am sure my list of favorites might change in the future. Nevertheless, restaurants and cafés I’ve listed here are what I enjoy the most at the moment. They all have good vibes and serve food, which makes me go to a culinary heaven. Most of all, their accessibility goes along with a wonderful cuisine and that’s not always the case. If you are in Warsaw, you could always give them a chance, but if you don’t, Warsaw’s likely to serve you well anyway. After all, the city’s full of surprises: especially culinary ones!